I love the lighting products from Apurture. 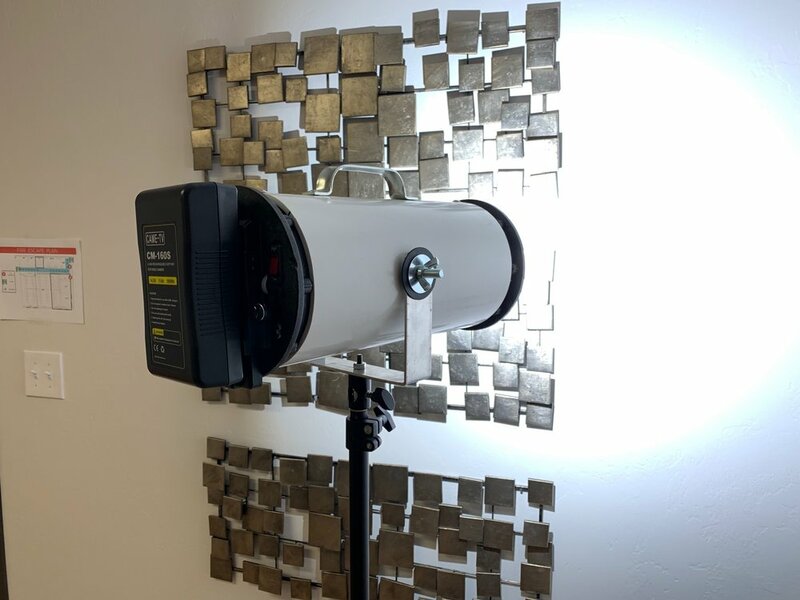 They make excellent LED powered video lights and modifiers that work perfectly for video or film productions or even photography. They are also very reasonably priced for what you get - silent, reliable, and extremely bright light sources. They are designed in a way that is much similar to what you might find on a traditional Hollywood set - extremely bright lights modified with scrim, flags, bounce, softbox and other modifiers to shape the light into the desired result. At work, we now own three 120D lights and one 300D. If you’re looking for a polished continuous lighting solution I can’t recommend a better product. I also love tinkering with electronics and I challenged myself to build a 120D equivalent 100 watt LED light. 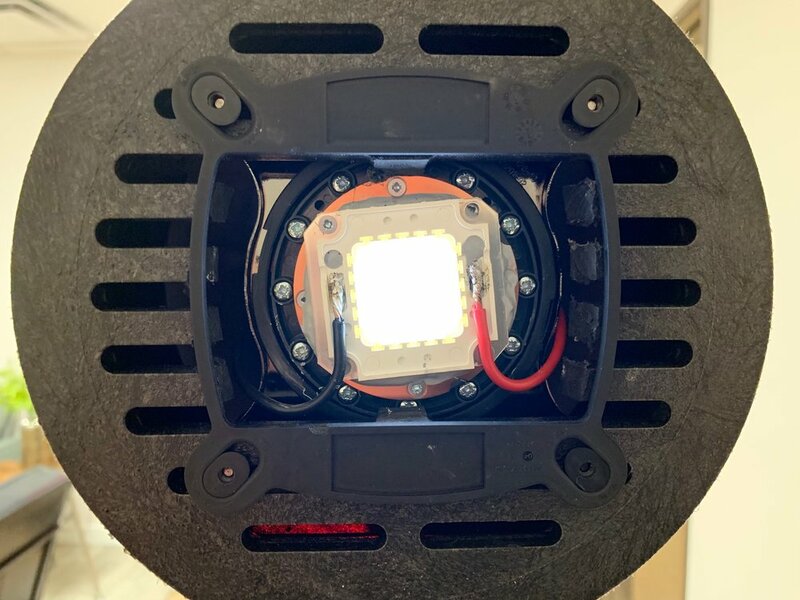 After doing some research, I learned that the same type of LED chips that Apurture uses in their lights are readily available from electronics dealers online. I built this project for around $300 but I think you could do it for around $200 if you were more careful about the parts you purchase. Many of the parts I list below come in packs of multiples. This is both good and bad because you will have extras if you mess something up or want to build more than one light, but it does cost a bit more. Building this project is not too difficult, but will require you to know how to do basic soldering and wiring. If you lack these skills but still want to build a project like this, I encourage you to invest in a decent variable temperature soldering iron (Weller is my favorite brand) and use Youtube as your guide to learn basic soldering and electronics skills. Once you are comfortable soldering a solid connection, go ahead and tackle this build. Giving credit where credit is due, I learned the basics of how to properly power and assemble the circuit for this LED project from this incredible Youtube Video. Although his end result is different, the video provides an excellent guide as our circuit is exactly the same. For the body of this light, I’m using a 6” PVC drain pipe (listed below) and I cut it roughly in half with a hack saw. You can also use a dremel tool to cut PVC but beware that it makes a fine powdery PVC dust that you should avoid breathing or getting in your eyes. The specific LED and CPU water cooler I’m using to keep the LED cool work well together because the holes happen to line up perfectly allowing you to use the screws in the head of the water cooler unit to attach the LED. I’ve tried other CPU coolers and the holes don’t line up so it’s difficult to firmly attach the LED to the cooler. The cooler hardware also comes in handy to attach the cooling head + LED to the PVC grate that I’m using as the caps to the PVC tube. I used a dremel to cut out the center part of the grate to allow the LED and cooler to fit through. The mounting hardware fit perfectly into the existing slots of the grate and sandwiches the assembly holding it firmly to the grate. Questions about how to put this thing together? Leave me a comment and I’ll be glad to help out.